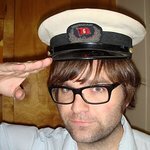 Ben is a member of Death Cab for Cutie. Ben attended the 2008 DNC with band mate Chris Walla, where they performed at the “Concert for a Cooler Planet”, the SEIU (Service Employees International Union) Rally, and the “Fix Health Care Now” rally. Google trends for "Ben Gibbard"
We don't have any videos related to Ben Gibbard.